Dental implants are a life-changing way to get the smile you want after loss of permanent teeth. With implant dentistry in Pulaski, VA, Dr. Southern can replace missing teeth in a patient's smile to support a lifetime of comfort and oral health. 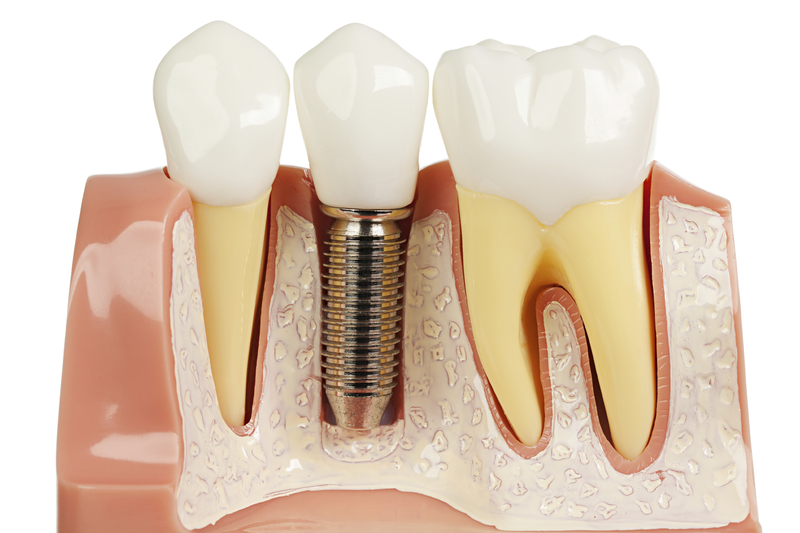 Unlike partial dentures and dental bridges, dental implants replace both the crown of your missing tooth and the tooth root; your replacement teeth will feel just like your own. Patients visit our trusted oral surgeon to have their implants placed, but start with treatment planning at our office. We begin your implant treatment with a digital scan of your smile as well as impressions to create a guide that allows for optimal implant placement. These steps allows Dr. Southern to determine the full status of your oral health and create the right plan for your finished treatment. Once we have your treatment plan designed, which includes number of implants to be placed and whether any pre-treatments are necessary, patients are scheduled to see our oral surgeon. Implant surgery can be quick and is a more comfortable process than many patients assume. We work closely with your oral surgeon to ensure that your treatment is seamless and successful. Our implant-supported crowns and bridges are made directly in our dental office with E4D technology. After taking a 3D scan of your smile, Dr. Southern can use this information in conjunction with in-office milling technology to fabricate your implant restorations while you wait. This process would normally take several weeks with the use of a dental lab, but our modern dental technology allows us to shorten this timeline for your convenience. From single missing teeth to comprehensive smile restoration with implant-supported dentures and All-on-4, Dr. Southern can help patients achieve whole and healthy smiles. Don’t live with missing teeth or uncomfortable dental prosthesis. Contact our Pulaski implant dentist today for more information about what implants can do for your health, wellness, and self-esteem.